The weather is cooling down and the leaves are falling. This is no reason for all the fun to go out the door. Let’s just bring the fun in with these fun Thanksgiving activities for kids. No bored kids to be found! 1.Paint with corn. What a fun idea! 2. You’ve got to have a few fun painted turkeys kicking around for turkey day! 3. While you wait for the turkey to finish, send the kids outside to play Turkey Tag! 4. It’s always important to create an attitude of gratitude! 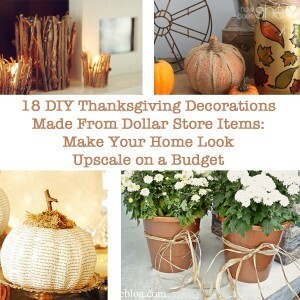 These gratitude pumpkins are the perfect way to do just that! 5. Another great way to get an attitude of gratitude is with these gratitude boards. Use it all month for a great reminder! 6. And there’s also our very own Mad Lib free printable you can’t miss! Keep the kids (and even adults) entertained! 7. What’s not to love with some paint and q-tips? This thanksgiving tree will be a sure hit! 8. What are you thankful for? I love how this cute thankful turkey says “pacifiers”. My guess is a mom made this one! Ha! 9. It’s always nice when you can throw in a little learning too! This candy corn math looks like a ton of fun! 10. Make some easy marbled fall leaves for the perfect fall decoration! 11. Make some fall tree luminaries, what kid wouldn’t love this? 12. Make and then play a turkey ring toss game! 13. This corn shaker is a great rainy day activity! 14. This I-spy fall bottle looks like a ton of fun! Have the big kids make it for the younger kids! 15. Get brave and get those feet painted! This footprint thanksgiving turkey is a hoot! 16. Here’s a great way to use up all that leftover candy corn from Halloween! 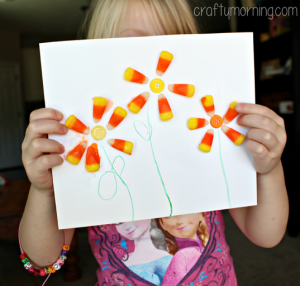 These candy corn flowers are adorable! 17. Play dough is fun, but play dough that smells like fall? Even better! 18. Help the kids with their math with this turkey feather math activity! What are your favorite fun Thanksgiving activities for kids?